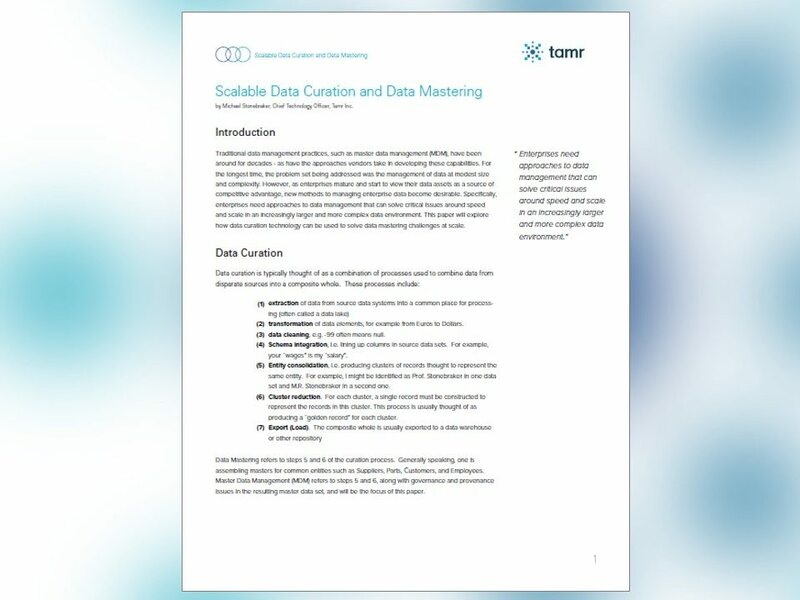 In partnership with Tamr – Traditional data management practices, such as master data management (MDM), have been around for decades – as have the approaches vendors take in developing these capabilities. For the longest time, the problem set being addressed was the management of data at modest size and complexity. However, as enterprises mature and start to view their data assets as a source of competitive advantage, new methods to managing enterprise data become desirable. Specifically, enterprises need approaches to data management that can solve critical issues around speed and scale in an increasingly larger and more complex data environment. This paper will explore how data curation technology can be used to solve data mastering challenges at scale.